The packaging industry, product processing companies, and retailers have a shared duty to protect goods, consumers, and the environment with safe, convenient, and affordable solutions. It is a balancing act because improvement in one aspect of packaging can reduce or improve the effectiveness of another. Examining the whole life cycle of sustainable packaging materials gives a clearer picture of the choices made and how they interact with each other. The 2017 Food and Drink Federation Packaging Checklist for Food and Drink Business addresses three high-level categories of packaging and sustainability: functionality, the Three Rs, and transportation. With flexible packaging, everyone in the chain—even the end user—has the opportunity to effect positive change. Functionality applies across the lifecycle of product packaging. At its most basic level, it should be strong; protective against leaks and external contaminants; free from or protective against contaminants within the packaging material that could harm the product or the environment; and easy for every link of the chain to handle, use, and recycle or discard with minimal environmental impact. Flexible packaging encompasses those fundamental requirements of proactive and ecologically sound packaging as well as broader ones, such as brand appeal and cost effectiveness. 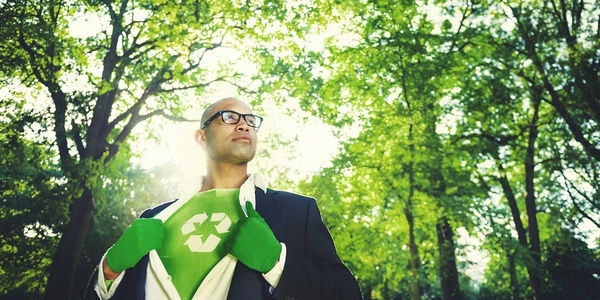 Every link in the chain can be a sustainability hero. Reduce, reuse, recycle: those are the basic tenets or Three Rs of waste reduction. According to the Environmental Protection Agency, food waste and food packaging account for nearly half of materials that end in American landfills. If the packaging is intended for reuse, is it strong enough and is there a system in place to facilitate it? After use, can the package be recycled, recovered, or composted? Not all flexible packaging is recyclable. In some cases, the product it contains prohibits recycling. With multi-layered flexible packaging, recycling may not be possible. However, Packaging Digest says there are several ways to improve. Flexible food packaging might not contain food again, due to FDA purity requirements. But it may be recycled into packaging for another product. Transportation by freight truck adds between 60 and 150g of CO2 for every metric ton of goods shipped. That’s according to Time for a Change. Air freight accounts for 500g and trains produce 30 to 100g per metric ton. Smaller, lighter packaging materials reduce transportation needs and costs, which benefits both the environment and the manufacturer. Does current transportation use efficient routes? Can vehicles be loaded more efficiently? Is there a load-share opportunity to make the most use of cargo space? Flexible packaging cannot improve on routes, but it has the potential to improve load maximization as well as load sharing to reduce waste emissions when incorporated into an overall sustainability plan. With markedly smaller materials that are strong enough to withstand stacking and transport hazards, such as load shifting and bumpy roads, flexible packaging helps meet this part of the checklist. Because it is collapsible, it also reduces transport emissions and costs when it is collected after use. Through continued innovation and a keen eye trained on the whole life cycle of packaging, sustainability can peacefully coexist with product safety, convenience, and affordability. The FDF says, “A whole chain effort is needed to truly succeed, and we must all make the best use of our resources.” Shared responsibility, from responsible packaging to improved recyclability and low-impact waste, help reduce environmental hazards without compromise. To learn more about flexible packaging and how it serves as an important component of a total sustainability plan, contact us for a free sample and download our corporate brochure.